Of course replica watches, both replica watches uk are made of gold material. 40 mm for the silver dial swiss replica watches, 36 mm is the replica watches online champagne dial. I believe everyone has their own gifts and that is why at Colours for the Soul the numbers on the class are kept small to enable you to fulfil your full potential and find your true purpose. Classes are taught with love, and compassion in a friendly environment and peaceful surroundings in the heart of the Peak District, Derbyshire, easy access from M1 junction 29. Do you want to add a new dimension to your life and Reiki healing? Do you enjoy learning and having fun? Colours have been used for many years it is believed it goes back thousands of years to ancient cultures of Egypt, China and India each colour has its own particular wavelength and vibration. It is a wonderful complementary therapy that works alongside Reiki. It is like watching TV in Black/White; add colour and you have Technicolor it adds a new life and a new dimension. Colour Reiki is my passion, when I was young I used to see things as Black/ White, life was very dull, until I started to introduce colour, from then on my interest began to grow, things started to change, the world looked much brighter, happier and exciting place to live. I realised that colour was all around me and the way I connected and used these colours it had a significant, positive effect on my life. Working with Colour and Reiki has evolved into a new system which I have named Henshin, Students who have attended the courses have said that it was more than they had expected, put all the other courses they had done together, inspiring, fun, and knowledgeable and would recommend the course to friends. Colour Reiki courses are taught over one or two days which ever you prefer. You are taught how to become sensitive to colour. How colour affects us and how colour is perceived, Chakra colours, Characteristics of colour, ignitions to the Colour Rays. If orthodox medicine can have amazing results, then Colour and Reiki practitioners can have even greater results. If you look into the void with higher sense you will see the wavelengths beyond the rainbow. 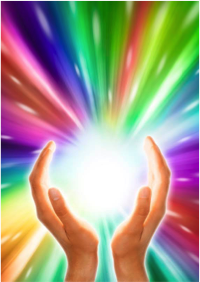 The Aim of this Henshin Colour Reiki course is to bring Colour and Reiki into a new dimension of healing come and join us for a day full of excitement and Colour you will be amazed at the difference it will make to you and your clients.The potential is so profound its magical. Learn how colour can be used to change moods and vibration. Learn how colour can enhance Reiki healings on self and others. Holy Fire 11 Reiki level 1 is the beginning, and the opportunity to lay a good foundation for further Reiki work, and the opportunity to work on yourself. This system was introduced by William Lee Rand. Once you have had a placement by a Reiki Master, it will be with you for life; it will never leave you it is like a form of first aid in your hands to use whenever you need it. You will learn how to work intuitively, because we are all unique and have our own individual gifts. Holy Fire 11 Reiki provides you with important tools that you can use to help balance your energy system and promote self healing. It is not recommended at this point to treat others. Holy Fire 11 Reiki 1 is for YOU, so give yourself time to build up your Reiki experiences and your new found Reiki life. You will have the experience of working with healing energy and a wonderful method for deepening your awareness with the universal energy. Holy Fire 11 Reiki 1 is taught in two days usually over a week end. You will be taught the History of Reiki , receive the Reiki 1 Placement and have plenty of time for giving and receiving healing. Holy Fire 11 Reiki level 2 is for dedicated healers. Reiki 2 expands your knowledge and healing. After receiving the Holy Fire 11 Reiki 2 training you will be a qualified Reiki practitioner able to practice healing on others. You will learn the use of 3 symbols which enhances the strength and is used to send distance healing. Reiki 2 is taught in two days usually over a week end. You will receive a further Placement the introduction to 3 Reiki symbols. You will have the ability to send absent healing to others. This is a new workshop from Colours for the Soul, brought to you by Lesley Armitage and Christine Coffey. We all have within us an inner child, and yet for those of us who have been physically, emotionally or mentally abused in childhood, that inner child is very often hurt, lonely and frightened. In many cases the harm done to us has been unintentional; as children we are vulnerable and completely dependent upon the adults around us and they may not have realised the effect their actions were having. If so, this workshop is designed for you and it will support you in recognising a constant presence within you - your inner child. You will be given the opportunity to meet with your inner child, acknowledge its needs and discover ways of fulfilling them. In this way you will be able to free yourself to grow and develop to your full potential. You may be dealing with personal and sensitive issues which you do not wish to share with others - this need for privacy will be supported and respected. Is up to you and no one else. Henshin Reiki, is brought to you from Colour For The Soul, It is a new method connecting the universals Colours with Reiki.Taking us beyond the Rainbow. This new method as taken over 15 years to develop, but well worth waiting for. Henshin means Transformation, and thats exactly what it does transforms, the changes that we need to change within. As you know Reiki is a wonderful energy, and colour complements Reiki to even further potential.It is a profound technique that takes you to many levels of healing. It helps heal Physical, mental, and emotional healing much faster.You will first learn how to use Colour to heal yourself and others.How to interpret the knowledge of colour, that is open to us all, we just have to be willing. It will be done in three Parts Henshin 1/2/3. For people who have not done Colour Reiki with me. If you have had experience with colour then you can do the Master level straight away. Rays of the universe taking you beyond the rainbow. Students who have attended the course, say it brings all the other courses they have ever done together with a greater understanding, They said it was more than they had expected, Empowering, Amazing, Knowledgeable , and they all enjoyed it. There will be more meditations, and hands on healing, as there will be time to do a full consultation, on Henshin/Colour Reiki to pass onto your clients or friends. Your energy levels will be heightened to the Colour Rays as well as your Reiki energy.giving you more potential,and a refined energy. I hope the days will be filled with love, inspiration, and fun, there is knowledge in Colour that is fascinating beyond belief,so I hope you will come and let us explore them together. I will be keeping the courses small, so first come first served so to speak. 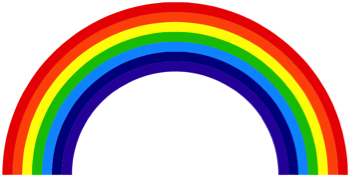 If you take a look at the Black/White Rainbow, then the Rainbow in Colour watch and see how it feels. It comes alive. Holy Fire Reiki was introduced by own Reiki Master. He first developed the system of Karuna In 1995. Karuna means compassionate action. In the year 2014 William further developed Holy Fire, A New Reiki Energy.Holy fire is a more refined energy, powerful and transformative, and if you are lead to this energy. Holy Fire is a very profound energy. When I first heard of Holy Fire , I was not quite sure, not like Karuna I knew instantly I wanted to do it. With Holy Fire, there were obstacles that kept coming my way, so I meditated on it, and as all things if it is right it will find a way. I found a lovely lady called Sarah Gregg, who teaches with love and compassion, Thank you Sarah.For introducing me to the wonderful energy of Holy Fire. It truly is amazing. Holy Fire gave me confirmation that the inspiration I had been given for Henshin Reiki was Right. I was told by sprit, Henshin, would be of Truth and Wisdom, guided by unconditional love. I have never felt that Reiki energy should be about money, and I know we have to value it, but we cannot put a price on Reiki/ Karuna/ HolyFire/ Henshin However we do have to be realistic and as Colours For the Soul as never been a profit organisation.With this in mind I can keep my charges small, so that people who are less fortunate, can develop there true being.Helping students to become their true self, is such a wonderful journey to be part of. I thank all my students who have trusted me to be part of their spiritual journey, for this I am truly blessed. We all have the ability to practice any of the courses named on this website, all you need is a willingness, and an open heart . All Reiki courses will include Holy Fire REIKI 1 REIKI 2 MASTER. William has now upgraded Holy Fire to Holy Fire 11, as energy is ever evolving this upgrade further refines and improves the quality of Holy Fire. The energy will be administrated directly by the Holy Fire, allowing us to receive ,what ever is appropriate, for the student. This book is brought to you by Colours for the Soul. The book has been compiled by Christine Coffey with assistance from Lesley Armitage and other Reiki, Karuna and Holy fire 11 Masters. It describes the power of Reiki and Colour Healing as a complementary therapy to heal, body, and spirit. Colour healing is a powerful tool which will enhance the performance of any healer and benefit both yourself and others. 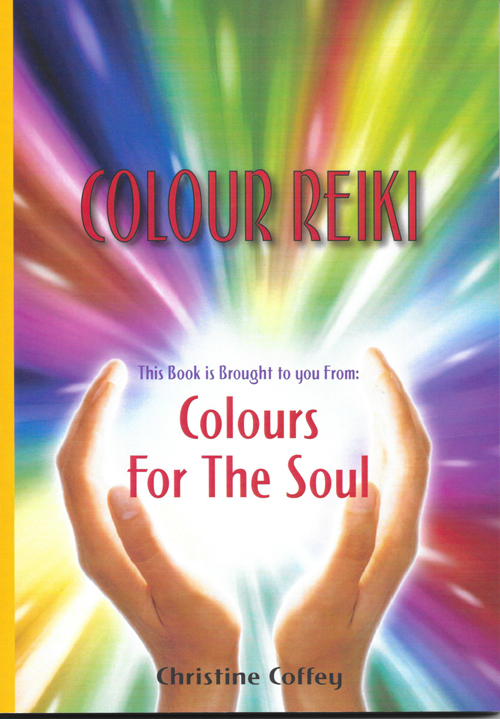 If you are looking to start your journey into Reiki and interested in Colour then this book is filled with lots of information to help you on your way. It is also very useful for students who are already on the Reiki path. The experiences of other Reiki Masters is very interesting, and will open your awareness and add a new dimension to your life.